Balinese spa is a traditional herbal treatment that is often used by the Balinese. Balinese spa called Boreh. Boreh word meaning a mixture of different types of spices and leaves are efficacious drugs. 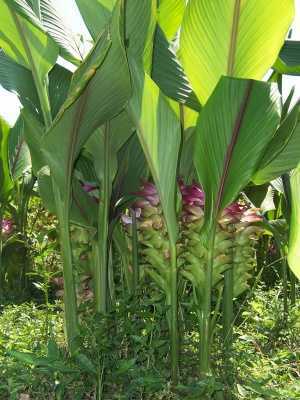 Medicinal plants are very commonly found on the island of Bali. Bali is often used by people to treat various diseases. Her special for healing diseases from outside the body, which in scrub it throughout the body, to gain a sense of warmth and fresh so you can help the immune system, for the healing process. The basic ingredients Balinese spa, cultivated by man since ancient Bali. Cultivation of medicinal herb plants are planted by the Balinese in the yard. As a complementary component to keep the unwanted situation. Medicinal plants so that whenever it is needed, it can be used immediately. Balinese spa or often called the Boreh, by the Balinese, is now very rarely used. Lots of people prefer Bali modern drugs for therapeutic treatment. Many Balinese regard, the ability to cure disease Boreh just suggestions. Though it has been done by the early ancestors evolved culture in Bali. If the use of Balinese spa (Boreh) for healing therapy are just mere suggestions, so stupid ancestors who created the cream and use it as a drug. Or Balinese people now who have become stupid, because it has been affected by the deceptive advertising from manufacturers of modern medicine. If it is not efficacious Boreh anything to the human body, then, why the Bali since the first use of cream, and is still used by the grandparents of the Balinese. Currently, Balinese spa (Boreh) are sought after by tourists who come to Bali. Due to the large demand for spa usage of natural herbs in Bali, so the more outlets popping spa services in Bali, which uses Balinese spa. Even today Balinese spa has been developed and used in the Russian state. Ironically, while the foreign tourists who come to Bali to search for Balinese spa, many people began to leave Boreh Balinese traditional medicine as a proven therapeutic efficacy. Now to get a Balinese spa, people have to pay a heavy price. Though the Balinese spa can make an easy manner. However, the majority of Balinese people have forgotten to make cream concoction and composition is good and right. So that they become reluctant to make. Balinese spa blends in making a very simple and easy. Most of the ancient Balinese use as a large manufacturing base composition Balinese spa. Rice mixed with some kind of spices and leaves, then mashed. Balinese people since ancient Boreh smoothing using a stone. Some plants and herbs are often used for Balinese spa (Boreh) is, ginger, galangal, betel leaf, clove, taro root, grass roots, and others.